The Ice Bucket Challenge may have been a watershed moment (sorry for the pun) for non-profit social media. Whether you were a campaign supporter or a nay-sayer, you have to admit it was a viral sensation on social media. We’ve also heard from many small membership organizations that they know they should be on social media, but not sure how to start and unclear how to engage their members on social networks. And while most of us would agree that non-profits need to build an online presence, many organizations don’t have the know-how or resources to develop and maintain a social media strategy. In fact, when I thought about a lot of the practices of small non-profits, associations (and even my own social media habits), I realized there are definitely carnival analogies we can draw to put this into perspective. Is your non-profit or association suffering from any of these carnival-like social media habits? Here are a few thoughts on social media habits that your non-profit or membership organization might want to work on. The carnival only comes to town once or twice a year and it arrives with lots of fanfare and commotion. The carnies set up all of the rides, the games, the lights, the music. The neighborhood is alive for a few days or weeks. Then one morning you wake up and all that is left are a few fluttering posters and a pile of snow cone and popcorn wrappers. Many organizations (ours included) often offer up a flurry of social media posting around a charity event, a new program or reaching a milestone. But then crickets in between news flurries. So like the carnival, a lot of flashy content but no follow-up or follow-through; no focus on responding to comments, likes or questions. Sometimes organizations or individuals (me included) excitedly create profiles on multiple social networks then never update them – again crickets. Does this sound familiar? Your frequency of posting on social networks goes up and down, depending on available staffing, volunteers or time. Perhaps you have one volunteer who committed their time to regular posting related to a program or event they were involved with, and then there was a lull. With no news or interaction, your good will and interest from your supporters probably faded faster than a melting snow cone. Perhaps your non-profit is actually maintaining regular social posts. But like many organizations you may be using social media to talk AT your followers instead of interacting with them. You are doing a great job of posting notices of upcoming events and maybe even photos at the event. But do you have a strategy for building on-going, two-way relationships with your social media followers? (74%) use social networks as a megaphone, announcing events and activities and sharing organization-centric info. Only 53% actually follow the best practice of posting issue-centric content to establish thought leadership in their nonprofit’s area(s) of focus. To start dialogues, consider using polls, responding to comments and asking questions on a regular basis to start building a community. Facebook guru John Haydon, suggests that posts that end with a question mark instead of a period generate twice as many likes, comments and shares. There’s a lot of exciting information competing with your social media posts. From viral sensations like the Ice Bucket Challenge, to personal posts from family and friends – your message may be getting lost among the noise. There are a number of ways to get your audience’s attention – such as using images, asking questions, using captivating headlines and much more. Most importantly, think about who you are trying to reach, on which networks and what they might be looking for. 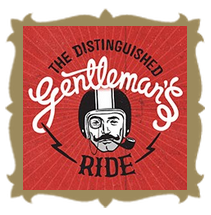 For example, recently, my husband asked me to share information about a charity “Gentleman’s Ride” he’s participating in to raise funds for prostate cancer. The organization had created a great online site designed for social sharing. I was happy to oblige and share on Facebook as he requested. But I had to remind him that many of our older friends and relatives who would be the most likely candidates to donate to the cause, weren’t actually on Facebook at all! So while we had to look for alternate ways of getting the message out, I think the organization (and other charities) also needs to offer up alternative ideas for event promotion. Those are just a few thoughts on social media and non-profits. But Joanne Fritz will be sharing an entire round-up of insight and ideas in her upcoming Nonprofit Blog Carnival post – Taking the Measure of Social Media on September 30th – more details here. 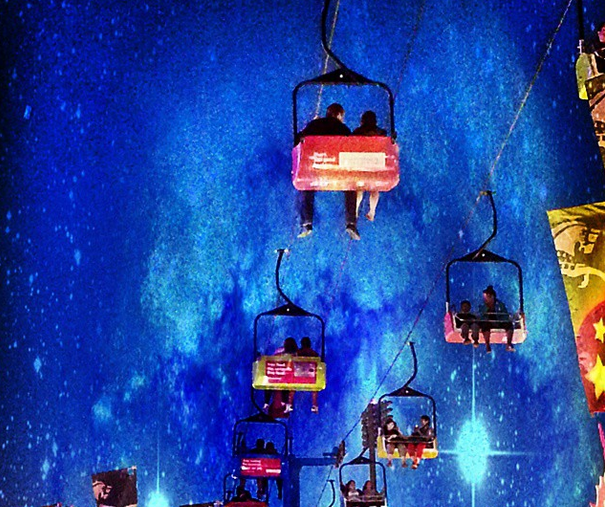 Do you think your non-profit’s social media habits are like a carnival? Tell me how in the comments below.